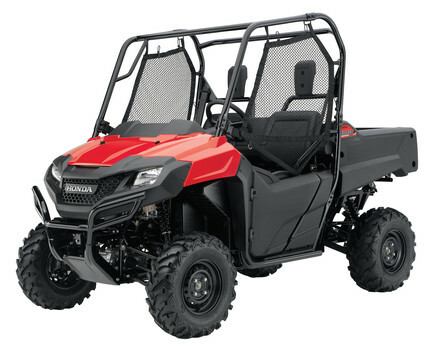 In 2014, Honda's Pioneer™ 700 UTV sets the standard as the ultimate in hard-working, hard-playing side-by-sides. Whether you're off to the job site or a weekend adventure in the woods, this newest version carries two people and a load of gear and supplies—up to 1000 pounds—to those spots that are especially tough to reach. 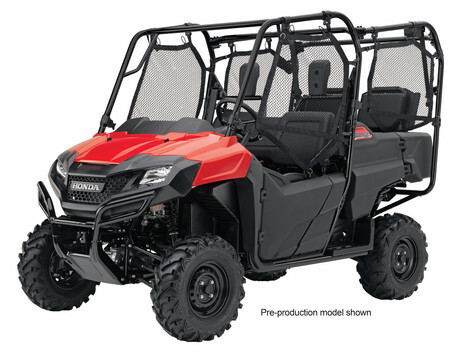 Now you don't have to choose between a two-person or four-person UTV: The all-new Honda Pioneer™ 700-4 boasts an innovative convertible design that allows the two rear seats to fold into the bed.